Continue on to Namibia where you'll explore the bare plains of the Namib Desert, the apricot coloured dunes of Sossusvlei, the romantic coastal town of Swakopmund nestled between the Ocean and the Desert, and the abundant wildlife in the world renowned Etosha National Park. Namibia is known for its contrasting landscapes. Sossusvlei, Namibia's famous highlight in the heart of the Namib Desert, is a huge clay pan enclosed by giant sand dunes. Some of the spectacular hills of sand are, at a height of 300 metres, the highest in the world. The best time to view Sossusvlei is close to sunrise and sunset; the colours are strong and constantly changing, allowing for wonderful photographic opportunities. You can also enjoy exhilarating game drives & wilderness walks exploring the grass plains and red sand dune belts of the Namib Rand Nature Reserve. Finish your Namibia adventure with your private guide in Etosha National Park. 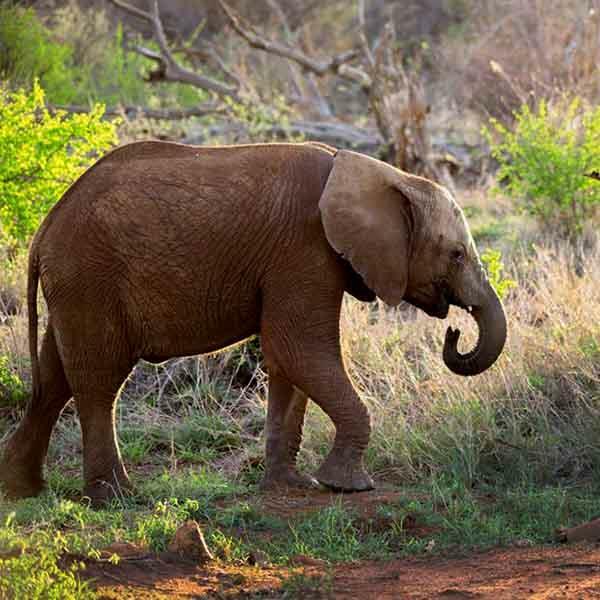 Seek out the Big 5 as your guide will takes you to all of the great waterholes. You'll end your trip back in Windhoek where you'll catch your flight home or on to Cape Town. Includes internal flights.